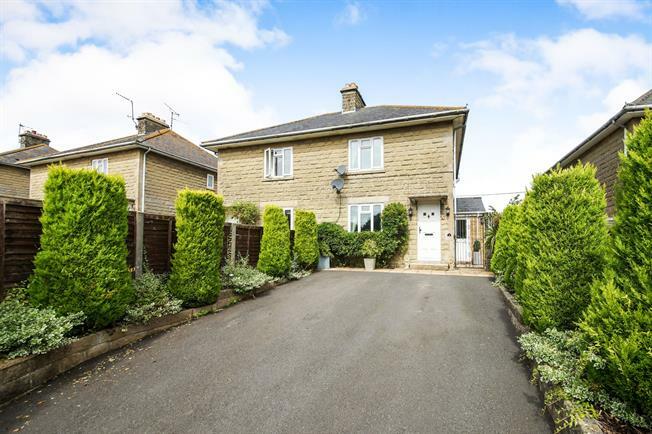 3 Bedroom Semi Detached House For Sale in Templecombe for Asking Price £290,000. This spacious family home is delightfully positioned along a quiet lane within the ever popular village of Henstridge. The property wonderfully combines the benefits of a 1930's house with a more contemporary layout, that has been created thanks to the well thought out extension that provides a wonderful flow to the ground floor. The accommodation on the ground floor is presented with neutral tiled flooring and comprises: living room with feature fireplace, modern kitchen with opening to the dining area, which benefits from two sets of sliding doors to the noteworthy gardens, W.C and utility room. To the first floor there are three good size bedrooms and a large bathroom with separate shower cubicle. The property needs to be viewed in order to fully appreciate the delightful layout, position and gardens on offer. A particularly noteworthy room courtesy of an excellently thought out extension, benefitting from sliding door to both the side and rear which make it not only light and airy, but also idyllic for alfresco dining due to the well kept patio area it leads into. In keeping with the rest of the ground floor, the room is presented with tiled flooring throughout and benefits from a radiator. With a modern suite comprising low level WC, pedestal wash hand basin and tiled flooring. A practical room with independent access via the side of the property which leads to a glazed door. The room offers an array of wall mounted units and an elevated worksurface which provides space under for washing machine and tumble dryer. There is also a window to the side and half wall tiling. With radiator housed under an elegant covering, window to front and built in wardrobe with double doors providing useful storage. With window to rear overlooking the large and interesting garden and a radiator. With window to rear, radiator and cupboard housing hot water tank with associated shelving. Presented with vinyl flooring and full wall tiling; the bathroom benefits from a modern suite comprising low level WC, panelled bath with mixer tap and hand shower attachment, separate shower cubicle with full wall tiling and sliding doors, heated ladder towel rail, obscure window to side and a built in storage cupboard with useful shelving. To the front the property is approached via a good size driveway offering ample parking, which is bordered by elegant hedging, shrubbery and flower. Side access then leads to the rear garden which is initially the benefactor of a well kept patio area which is ideal for alfresco dining and houses both a pond and an outbuilding with power, lighting and shelving There is then paved footsteps which lead through the second section of the garden which is largely laid to lawn surrounded by stunning flower and shrub borders enclosed by high quality fencing and elegant trees. To the rear of the garden there is a well stocked growing area, greenhouse and shed which are situated on a gravelled area with paved footsteps providing access to the chicken pen. A truly wonderful and vastly interesting garden that needs to be viewed to be appreciated.